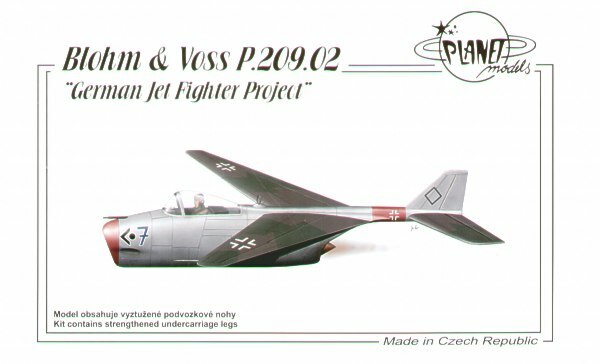 Blohm & Voss P209-2 "German Jet fighter project"
Blohm und Voss P.209 "German Jet Fighter Project" Full resin kit of the German jet fighter project from WW II. The kit contains vacu-canopy and decals for one aircraft of Luftwaffe 1946. This fighter with negative sweep wings should have reached speed of 1000 kph.